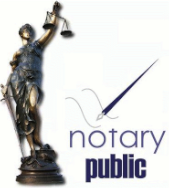 Darlene Malloy is dedicated to providing you reliable notary & loan signing services in the convenience of the location you choose (yes even your home) in Rockingham County & Surrounding Areas! We are ready to assist you Monday - Saturday by appointment! We are local to the Rockingham County - Triad Area. Contact Us or Email for More Info!